There are a lot of Keyboard brands around the world but when it comes to providing value for money coupled with amazing and majestic performance the two Japanese giants Yamaha and KORG are at the top. Personally, I am a huge fan of both these Japanese manufacturers. You guys need to choose the right instrument and there you go, you are in a league of your own. The quality of the instruments which both these companies bring about is something quite super- human. I love the superb designs of the Yamaha models and the classy and superb realistic sound quality of the KORG models. Both of these companies are competing with all their might in the Keyboard manufacturing industry. In this review, I would like to give a brief review about the Keyboard KORG professional arranger 300. This is a superb instrument and if I write, it will be impossible for me to stop because there is a lot to write about the instrument. Here I will give a brief review, its special features, and of course the Pros and Cons. So let's start, here is how the story goes. 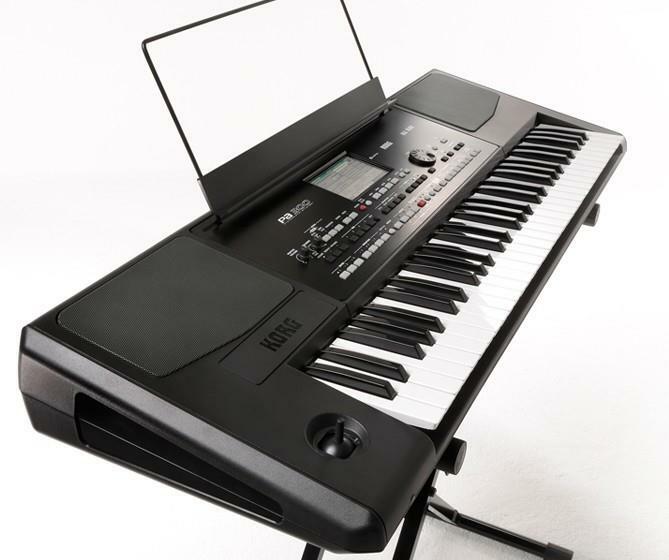 The KORG pa 300 is a very professional type Keyboard and if you're a lot into making new songs and working a lot on your new compositions this the best buy for you in this 60,000 to 70,000 INR category. Am I over-optimistic in saying so? Not at all. You can blindly go for buying this one from KORG which indisputably is one of the best Keyboards manufacturers in the world. The sound and voice quality you get in this is mind blowing, realistic and absolutely sensational. I would be short of adjectives if I were to actually describe the instrument. It is a great product from KORG and helps in improving your performance every time you lay your hands on the instrument. The tones of features, the weighted keys, the big screen, the easy user interface, the superb build quality, the connectivity options, the storage options, premium design and great sound engine makes it one of the best in the market today. Overall the KORG pa 300 is undoubtedly one the best. Coming from KORG this instrument is a well-designed one. Now, personally speaking, I never liked the designs KORG brought into the market. Now if I need to give a clear explanation for what reason I hated KORG designs it is quite simple and straightforward. All KORG designs look out dated and seem a bit like a child's keyboard rather than looking professional. The designs of switches and buttons, knobs and everything you will find on a KORG product will always be like an old Ambassador car parked in a parking lot with a lot of Ferraris and Lamborghinis around. Such was the case of almost all designs KORG brought into the market. Now, what does the company do in the case of pa 300? Well, it is not that different, here too the product is almost same like its predecessors but KORG has done a lot of advances in the overall design and this design looks a little bit appealing. I will say that KORG definitely should do lot of improvements to really compete with Yamaha and other manufacturers in terms of design. So you would be wondering why I said the design is good. The design is good, but not appealing enough. The view the audiences will have from their seat is good. But what you would see as a player on stage is not that beautiful. That is what I am trying to say. The buttons, switches, knobs, and the pitch bend or the Joystick as KORG calls it, are all of good quality but look out dated. One of the striking features is definitely the screen which is a touch screen and almost 5 inches. The touch is the resistive touch and it has a good feedback and functions well. The instrument has good design overall. Build quality is of course superb. You need not worry about it. Everything on your KORG is perfectly built and has a lot of meaning to it. At first, you may find the design of your KORG pa 300 a bit lacklustre especially if you were using a Yamaha product. After continuous exposure, it will become user-friendly. I would rate the instrument 3.2 stars out of 5 for the design, and full stars for the build quality. Fasten your seat belt guys, because you are being introduced to one of the best if not the best sound engine found on any keyboard around the world. I bet you will hardly find a keyboard with such realistic and amazing sound quality. One of the defining features of KORG keyboard is the sound quality. You may not get the best design in the market but you are greeted with the best sound engine. When I first heard the voice of my KORG pa 300 I was on cloud nine. The voice of almost all musical instruments found on this keyboard is real. I will not be able to describe the freshness and the reality of the sound in words. You need to grab one and play for understanding the depth of the voice in the KORG pa 300. The styles, songs and the kits on the keyboard is mind blowing. You can trigger almost every sound from this amazing instrument and play it with ease because of the easy to use User Interface. The user interface is polished enough for a first time user to understand the technicality of the instrument and the big almost 5 inch screen helps in navigating through the keyboard in a very easy and convenient manner. Separate menus are found on the screen for playing styles and songs. You can play your favourite styles and songs by just touching on your preference. The user interface is quite intuitive and unique in its own right. 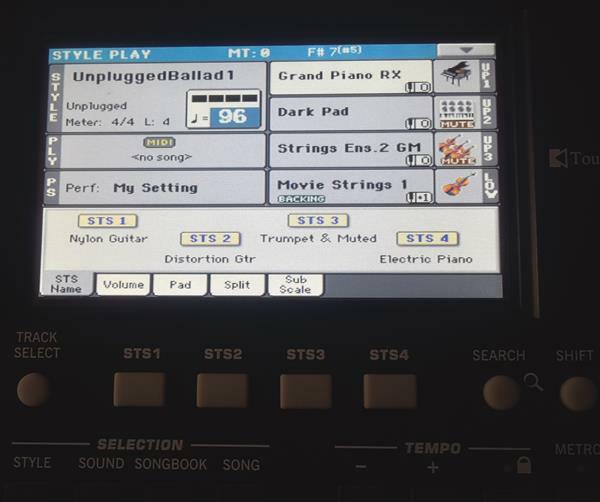 I really like the work of the KORG engineers on making this user interface such a happy to use interface. I would rate 4.9 out of 5 for the sound quality and user interface. Slim and compact, lightweight cabinet design. Wide 5 inch TFT graphic touch screen display which allows direct access to on screen controls and to the musical resources. High-quality integrated amplification and high quality output audio converters. RX (Real eXperience) Technology, the cutting edge engine that drives every aspect of the pa 300- from the synthesis to the display and how it all works together. A joystick and an assignable pedal ensure total control over the sound. Powerful sound generation system, for crystal clear, realistic sounds. General MIDI Level 2 Sound Compatible. Enhanced Sound compatibility for GM songs. More than 950 sounds, plus 64 Drum Kits. 240 Performance locations, plus 4 single Touch Settings (STS) for each Style and songbook entry, for fast setting of keyboard sounds and effects. Four stereo Master FX, with 125 effect types. Final 4 band parametric EQ. Edit Sound, to create and edit new Sounds. Over 300 factory styles with 4 Variations and 4 Fill In + Break, plus 8 favourite and User Style banks for unlimited storage of your custom Styles and settings. Style and Pad Record, including the enhanced "Guitar Mode 2" for even more realistic guitar parts. Guitar Mode 2 tracks for more realistic guitar tracks. Standard MIDI File player and recorder, and MP3 player. Lyrics and Score display. Multilingual extended character set. Enhanced compatibility with Lyrics in graphical format (+G) for standard MIDI Files and MP3 files. Full- featured 16- track sequencer. Fully editable SongBook music database, for fast song retrieving. Search function, for instant retrieving of any musical resource or file. Operating System updates, to load new features and enhancements. Don't let your instrument get old! Generous internal memory, to store a huge amount of data. USB 2.0 High-Speed Host port, for connecting external devices like hard disks, CD- ROM drives, USB memory sticks, etc. USB 2.0 High-Speed device port, to connect a personal computer to your pa30. This port can be used for file transfer, and for MIDI connection( without the need of a dedicated MIDI interface). Well, that was a huge list of features which are available on your KORG pa 300. Derived from its big brother, the KORG pa600, it has the design resemblance of the 600, the sound quality etc, but the instrument has been made a little affordable than its big brother. The features on the instrument are fantastic for a musician for creating his/ her music and making his /her own composition. It is a perfect work station at an affordable price. The weighted keys give more royalty to the instrument as a whole. The keys are of course the heart of the instrument which should have a very good feedback while playing and KORG as usual does not disappoint us in any way, because its 61- synth keys provide the perfect podium for keyboardists to take over. It's a royal experience while playing it. You wouldn't be able to complain about anything on the keys. The joystick works well enough for manipulating the modulation and the pitch and you can assign more to it according to your preference. The screen helps in accessing the keyboard controls on the go, and the dedicated buttons helps in live performances. The keyboard will take almost a minute to start when switched on because it needs to load a lot of information. So that can be a problem if you are on stage and needs to start the instrument quickly for a quick performance. Apart from this there is no problem. Playing the instrument is a very joyful and royal experience. You can almost perform to your potential using this instrument. We Indians love a lot BGs (BackGround) music in a song and our songs are not so much guitar driven like the western music hence KORG can be a perfect fit for we Indians. The huge collection of Indian Styles in the instruments and the freedom of making as many Indian styles as we want is a great boost for a performer. You need to note that the Indian Styles do not come preloaded and you need to load it by a external flash drive while you buy. You can remind the showroom guy who will do it for you. Overall playing is a huge experience for any musician. Good build quality and amazing sound engine, realistic sounds, huge memory, great connectivity options, Lightweight design, cool and fantastic playing options and features, Huge TFT touch screen, Operating System updates on the go, Lyrics and score display. Design a bit dull and out-dated, more colourful graphic display would have been better. So I would like to conclude that this is a gorgeous instrument with a lot of capabilities at an affordable price. If you don't have any problems with the overall design of the instrument you need not worry about anything. You are on the right track. Go ahead and buy one. It has a superb mesmerizing sound engine which is the best in class to provide best realistic sounds. I would say the best Keyboard in India today in the 60- 70 thousand category. An amazing instrument overall. The best in its class. Hope you found this review useful. Keep playing, Keep enjoying. God bless. Great post. Thank you for taking time to write such a detailed review. 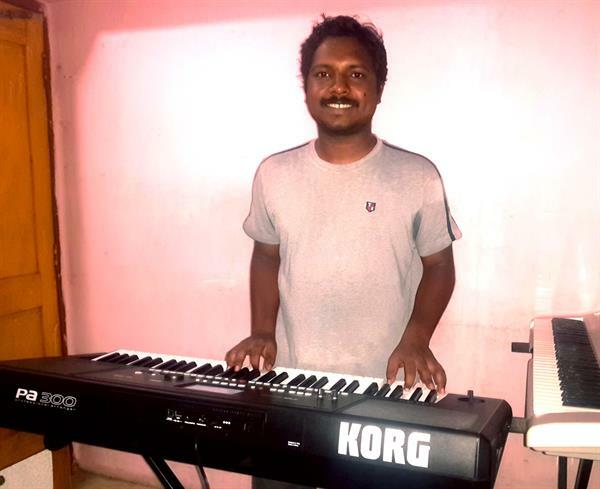 I was confused between choosing PA300 or Yamaha's PSR S670 and I would now go with Korg just because of your fantastic review and considering that I am an Indian as well, I do look to creating/composing music with some Indian style and I really hope Korg will be a great help in realising the dream. Very good review on the Pa300. Totally agree with everything in the excellent review.. There is so much to learn about this instrument. What I sorely miss from my pa3x is any facility for vocal performance. No mic input facility. Still, it's a matter of cost, I suppose. This is a a wonderful keyboard for the low cost but I would be happy to pay a touch more for vocals. Fab voices but I'd like a few more different styles so I'll hope the get some to add. Tony Auguste. I have been playing Yamaha PSR and recently it was replaced with Korg p.a.300. The STS or One touch system is very different and takes much time. I think this instrument friendly as compared to other instruments.The manual does not help at all or no guidance has been provided.Please guide how to use STS as a permanent feature.. Regards. PA300 is a great sounding instrument but it only offers midi over usb a big drawback for live performance unless you want to haul a computer with you along with every thing else!